2015 Festival Line-ups and Rumours – which bands and artists will be at this summer's festivals? Thankfully the spring is now in sight! This means it's time to start looking forward to the best of the UK's spring and summer music festivals. First off, let's have a quick look at who will be playing, and who might be playing. Here is what the rumour mill is grinding out. The smart money for one of the headlining acts on this year's Pyramid Stage should go on Coldplay. The British rock band released the album 'Ghost Stories' last year and is expected to put out a new album in the summer under the title 'A Head Full Of Dreams'. This would be Coldplay's sixth appearance at Glastonbury and the group's third on the Pyramid. Front man Chris Martin has hinted that the next album could mark the beginning of a hiatus for the band, and what better way to go out than the top spot at the world's biggest greenfield music festival? Already confirmed by the Worthy Farm organisers are Seattle rockers Foo Fighters and American singer-songwriter Taylor Swift is rumoured to be considering putting in an appearance. Tickets for Glastonbury, which runs from Wednesday 24th to Sunday 28th June 2015, have already sold out (although there are likely to be a few returns available later in the spring). The only other act so far to have been confirmed is Lionel Richie who will be playing the Sunday teatime legends slot. If you'd be up for a bit of work and getting paid to go to Glastonbury Festival (yes that's right, paid to go!) you can find out more about working at the festival over at the DC Site Services website! Headlining this year's Reading Festival on the Friday will be Mumford & Sons. The British folk rockers will be joined on the Main Stage by Bastille, All Time Low and Panic! At The Disco. On Saturday it is the turn of Metallica to rock the crowd. The American metalheads will share the bill with acts including Bring Me The Horizon, Royal Blood and Pierce The Veil. Sunday's performance will be kicked off by English rockers The Libertines. Joining them will be Kendrick Lamar, Jamie T and The Maccabees. Among the names to be confirmed for Richfield Avenue on the NME / BBC Radio 1 Stage are Limp Bizkit, Rebel Sound and Deadmau5. Headlining the BBC Radio 1 Dance Stage on the Friday will be Wilkinson Live. Saturday's headliner is still to be announced, but Sunday will welcome Boy Better Know to the stage. Loads more acts are still to be announced and will go up on the festival's official website as soon as they are confirmed. The festival will take place over the bank holiday weekend from the 28th to the 30th August 2015. The Leeds Festival takes place over the same bank holiday weekend as Reading Festival, but at Bramham Park in Leeds, with the same acts, swapped over. Don't forget if you fancy volunteering at the Reading or Leeds Festival head over to the Hotbox Events website and get into the festivals for free! This year's festivities will take place at Seaclose Park from the 11th to 14th June 2015. Already confirmed as headliners on Sunday are British-American rock legends Fleetwood Mac. 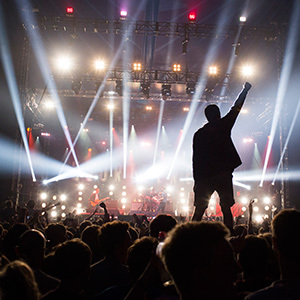 On Friday the main stage will play host to English electro pioneers The Prodigy and US rock duo The Black Keys. Also on stage over the weekend will be Groove Armada, Pharrell Williams, Paulo Nutini, Billy Idol, Counting Crows, Chicks On Speed and Paul Oakenfold to name just a handful. There are plenty more names to be confirmed for one of the best of the UK's summer music festivals. Announced for the UK's biggest free live music event this year is country/pop performer Taylor Swift who will appear on the main stage on Sunday. Each year the event chooses a new location and in 2015 the festival will be held on the weekend of the 23rd to 24th May in Earlham Park, Norwich. Also announced is local act Context. Many more home-grown and international bands, artists and DJs will be announced as the event draws nearer. Billed as one of the best UK family friendly festivals, Camp Bestival will be welcoming guests to the grounds of Lulworth Castle from Thursday 30th July to Sunday 2nd August. Cambridge electronic foursome Clean Bandit will headline on the Friday with indie rockers Kaiser Chiefs taking the stage on Saturday. Confirmed for the closing spot on the Sunday are electronic pioneers Underworld. Also among those confirmed to perform on the picturesque Dorset coastline are Professor Green, Soul II Soul, Bob Geldof, Level 42, Kate Tempest, Alison Moyet and the Cuban Brothers. This year the Henham Park Estate music festival celebrates its tenth birthday. Headlining the Obelisk Arena on the Friday will be Alt-J. The 'folk-steppers' will be joined by Caribou, Wild Beasts and Femi Kuti and the Positive Force. On Saturday Portishead will share the main stage with acts including James Blake, Laura Marling and Jose Gonzalez. On Sunday it is the turn of Noel Gallagher's High Flying Birds to headline along with Manic Street Preachers, Seasick Steve and Naomi Shelton & The Gospel Queens. Headlining the BBC Radio 6 Music Stage over the weekend will be Jon Hopkins, The Vaccines and SBTRKT. Check out the iArena for a showcase of upcoming names including The 2 Bears, Clark, Adult Jazz, Kiasmos and Jack Garratt. A raft of other music, comedy acts and special guests will also be performing from Friday 18th to Sunday 20th July 2015. 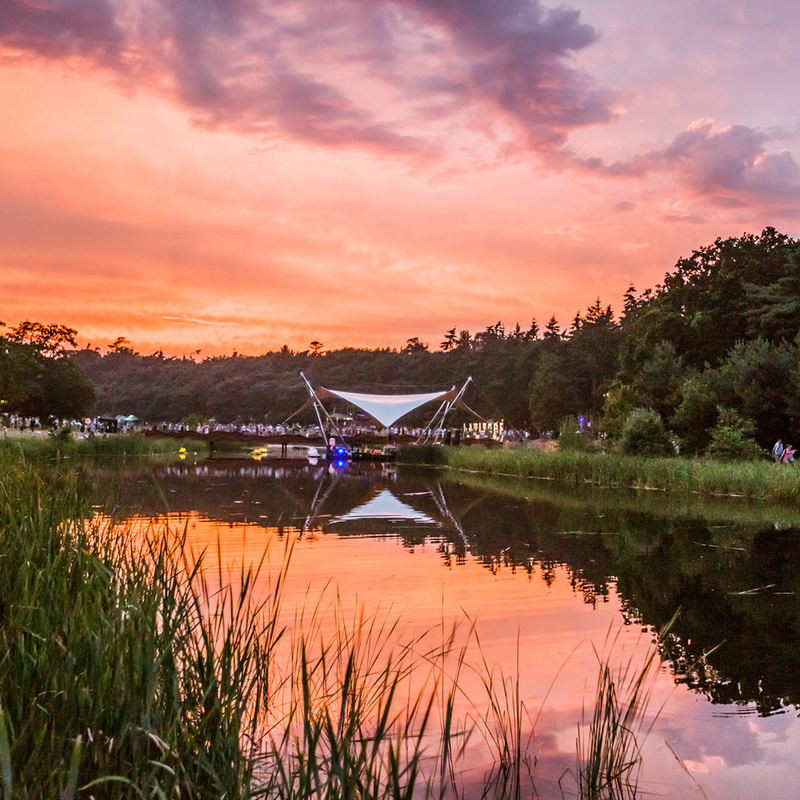 If you fancy free entry into the 2015 Latitude Festival head over to the Hotbox Events website where you can find further information about volunteering at the festival! Now in its 22nd year the T in the Park festival has relocated to Perthshire's Strathallan Castle. Nearly 100,000 revellers are expected to attend the music festival between Friday 10th and Sunday 12th July 2015. Confirmed for the main stage are English rockers The Libertines. It is rumoured that they will be joined by The Prodigy and Mumford & Sons. UK indie pop rockers Bastille could also very well put in a performance this year. Both events take place over the weekend of 22nd to 23rd August 2015. Appearing on Saturday at Weston Park and on Sunday at Hylands Park will be stellar names including Calvin Harris, Stereophonics, The Script, Ellie Goulding, Paloma Faith, George Ezra, The Kooks and Clean Bandit. On Saturday at Hylands Park and on Sunday at Weston Park the headliners include Kasabian, Sam Smith, Olly Murs, Hozier, Courteeners, Nero and the Welsh legend that is Tom Jones. Many more acts are to be announced in the coming weeks over the four stages, but already among those confirmed for The Dance Tent are Oliver Heldens, Goldie, Hannah Wants and Alex Adair. The UK metalfest returns to Donington Park from Friday 12th to Sunday 14th June 2015. Officially confirmed for the main stage on Friday are Slipknot, Judas Priest and Five Finger Death Punch. Booked for Saturday are big names including Faith No More, Muse, Parkway Drive and A Day To Remember. Also rocking the crowds on the other stages on Saturday will be Marilyn Manson, Black Veil Brides and Body Count featuring Ice-T. On Sunday the main stage hosts Kiss, Motley Crue, Billy Idol and Slash. Revellers can also mosh to Enter Shikari, Lamb of God and Eagles of Death Metal. More than 120 bands will perform over the weekend across the festival arena. Headliners in the picturesque Welsh village of Portmeirion have been confirmed as funk diva Grace Jones and indie legends Belle & Sebastian. A third headliner is yet to be announced, but a strong line-up of young and emerging talents including Rae Morris, Ghostpoet, Kate Tempest and The Bohicas will be topping the bill between 3rd and 6th September 2015. Confirmed DJs include The 2 Bears, DJ Harvey, Gerd Janson, Bicep and Motor City Drum Ensemble. More headliners, acts, arts and culture will be announced over the coming weeks. This year's dancefest will take place in London's Finsbury Park between the 3rd and 5th July 2015. Announced for the headline spot on Friday is Canadian songwriter and rapper Drake. Wireless promoter Steve Homer of Live Nation said: "This year we have an incredible line-up for New Look Wireless. We can't wait to bring Drake back to the main stage, along with some of the best artists that span the world of Hip-hop, dance, R&B and UK Garage. This is our 10th birthday and we're really going to make it one to remember." Saturday sees Avicci and Kendrick Lamar kicking it on the main stage and on Sunday David Guetta and Nicky Minaj will have the place dancing. Lovebox is returning to London's Victoria Park on Friday 17th and Saturday 18th July 2015. The festival was started in 2002 by Groove Armada, and although the line-up for this year's two-dayer is still to be confirmed the rumours are that the very best of home grown and international dance talent will be taking to the stages. Last year acts included MIA, Chase & Status, Soul II Soul and the irrepressible Craig Charles on the decks. The first acts will be confirmed on 10th March. Unfortunately one of the UK's most successful electronic dance music events will be taking a hiatus this year after 13 years of rocking the dancefloor. The organisers have assured partygoers that the break is to ensure that all future events are of the high calibre that fans have come to expect. Green Man has proudly announced that electronic Brit band Hot Chip and American singer-songwriter St.Vincent will be headlining this year's festival. The event takes place between the 20th and 23rd August 2015 in at Glanisk Park, Brecon, Wales. Other acts taking to the Mountain Stage this year include The Staves, Mew and Shovels & Rope, The Fall, Courtney Barnett, Charles Bradley, Calexico, Goat and Father John Misty. Speaking to Wales Online about the event, Green Man Festival Director Fiona Stewart said: "We are delighted to announce the first round of artists for Green Man 2015. St Vincent is a gifted performer and [to] have her headline following her album of the year success in the Guardian is brilliant, and with Hot Chip launching a new album, and Father John Misty re-launching his single on February the 9th excitement will be off the scale by August." This year's Womad extravaganza will take place between Thursday 23rd and Sunday 26th July at Charlton Park in Wiltshire. The organisers promised a stellar line up and have certainly delivered. Headlining is the legendary De La Soul. The hip-hop trio will share the stage with other huge names from around the globe including Tinariwen, Bellowhead, Aurelio, ESKA, Osaka Monaurail, Molotov Jukebox and Acholi Machon. Boom Town will open its gates between Thursday 13th and Sunday 16th August 2015. The first wave of headliners has been announced and includes Stephen "Ragga" Marley, Soja, Flogging Molly, Gogol Bordello and Squarepusher. Chapter 7 is set to be massive and other big names promising to draw the crowds to the town centre include A Guy Called Gerald, Jungle Brothers and Goldie Lookin' Chain. As well as a fabulous musical line-up Boom Town features nine individual districts to explore including Chinatown, Wild West and Kidztown. 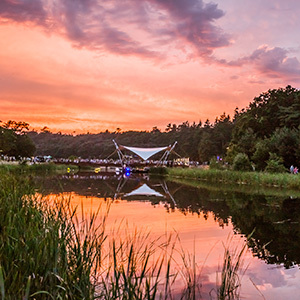 Shambala Festival takes place this year between the 27th and 30th August at the Secret Country Estate in Northamptonshire. The line-up is as eclectic as always and confirmed music acts include Adrian Sherwood, A Guy Called Gerald, Andy C, The Apples and Babyhead. This year's carnival theme is still to be officially announced, but we can tell you it will either be Cosmic Chaos, Dreams or Into The Wild. With over 200 diverse musical acts across 12 live stages, world-class cabaret, an amazing array of workshops, stand-up comedy, inspirational talks and debates, jaw dropping circus and acrobatics, interactive theatre and nationally acclaimed poetry all housed in beautifully decorated venues, the bank holiday weekend promises to be very special. Set in the rolling Cotswold Hills, 2000trees is all about the music. This year, between the 9th and 11th July, more than 80 of the absolute best new and underground acts from the worlds of rock and indie, plus some more established acts, will take to the stage. The extraordinary line-up already includes Deaf Havana, Pulled Apart By Horses, Kerbdog, Arcane Roots, Solemn Sun and The Computers. This year the Main Stage welcomes the incomparable Bjork as a headline act. The multi-talented Icelandic artist will share the bill with Moloko's Roisin Murphy, singer-songwriter Ben Howard and funk power-house George Clinton as well as a raft of other big names. 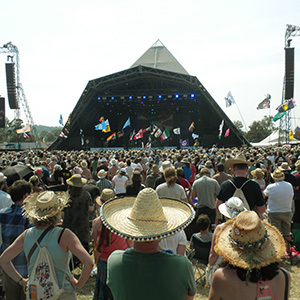 Taking place between the 6th and 9th August 2015 at Cornbury Park in Oxfordshire the event promises to be a fabulous festival of musicianship, theatre, talks, panel debates, late-night parties, outdoor pursuits and food experiences. The Liverpool music festival promises to be the biggest and best ever. The cream of the crop will be taking to the stage over the August bank holiday. On Friday the Cheshire countryside will be jumping to Rebel Sound, Sub Focus, Armin Van Buuren, Jamie Jones and Danny Avila to name but a few. Last year Creamfields walked away with the Best Dance Event gong at the Festival Awards and Saturday's line up ensures the festival will be a frontrunner this year. The acts booked to appear include huge names such as Avicci, The Chemical Brothers, Pete Tong and Don Diablo. On Sunday the event's 22 arenas will host DJs including Fatboy Slim, who will be presenting the Smile High Club, Tiesto, Afrojack, Eric Prydz and Paul Van Dyk plus a host of other huge dance names.